The article “Using citizen science reports to define the equatorial extent of auroral visibility” was recently accepted to the American Geophysical Union (AGU) journal Space Weather. The article, for which Nathan was the lead author, describes how citizen science reports from the Aurorasaurus project can be used to determine the extent of auroral visibility and predict how far it might be seen in the future. 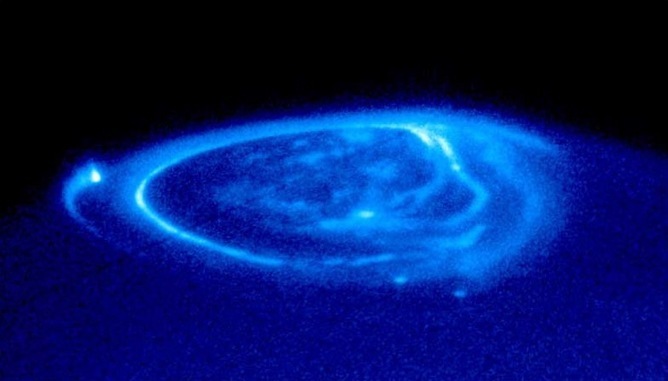 An aurora may often be viewed hundreds of kilometers equatorward of the auroral oval owing to its altitude. As such, the NOAA Space Weather Prediction Center (SWPC) Aurora Forecast product provides a “view-line” to demonstrate the equatorial extent of auroral visibility, assuming that it is sufficiently bright and high in altitude. The view-line in the SWPC product is based upon the latitude of the brightest aurora, for each hemisphere, as specified by the real-time Oval Variation, Assessment, Tracking, Intensity, and Online Nowcasting (OVATION) Prime (2010) aurora precipitation model. In this study, we utilize nearly 500 citizen science auroral reports to compare with the view-line provided by an updated SWPC aurora forecast product using auroral precipitation data from OVATION Prime (2013). The citizen science observations were recorded during March and April 2015 using the Aurorasaurus platform and cover one large geomagnetic storm and several smaller events. We find that this updated SWPC view-line is conservative in its estimate and that the aurora is often viewable further equatorward than is indicated by the forecast. By using the citizen reports to modify the scaling parameters used to link the OVATION Prime (2013) model to the view-line, we produce a new view-line estimate that more accurately represents the equatorial extent of visible aurora. An OVATION Prime (2013) energy-flux-based equatorial boundary view-line is also developed and is found to provide the best overall agreement with the citizen science reports, with an accuracy of 91%. You can download the article from Lancaster University’s repository. This entry was posted in Publications on March 2, 2016 by NathanCase. Polar Stratospheric Cloud type I above Cirrus. This entry was posted in In the News, Outreach on February 3, 2016 by NathanCase. How can I see the aurora or Northern Lights? Nathan recorded the following clip for Lancaster University, and AuroraWatch UK, giving a few tips about how best to see the northern lights from the UK. 2 – Find an unobstructed view of the northern horizon: such as a hillside or a northward facing coast. 3 – Find dark skies: city light pollution will tend to be brighter than the aurora, especially when attempting to view by eye. Try seeking out local dark sky areas. 4 – Hope for clear skies: (this one is down to chance!) 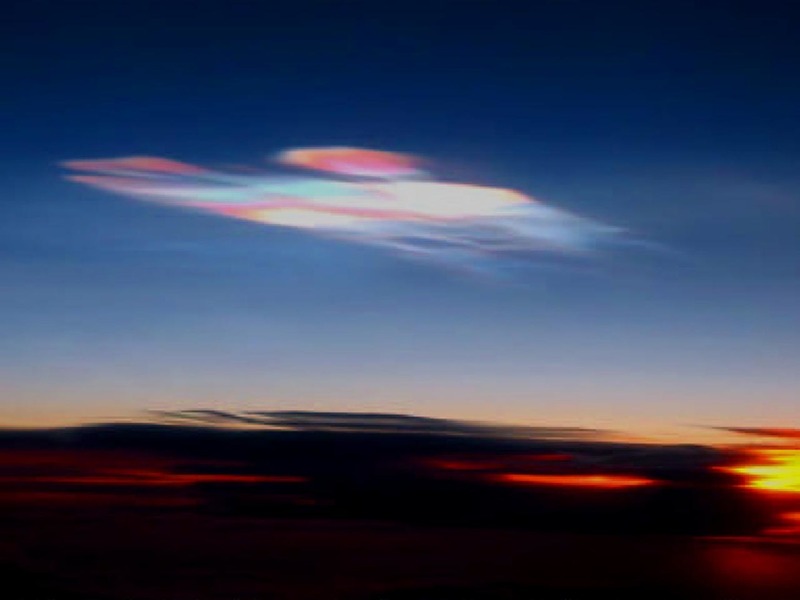 the aurora occur higher in altitude than clouds, so any clouds will obscure your view. 5 – Sign up to AuroraWatch UK for alerts of increased chance in auroral visibility from the UK. Nathan also recorded a clip on “5 Surprising Facts about the Northern Lights” which you can watch below. This entry was posted in Outreach on November 16, 2015 by NathanCase. 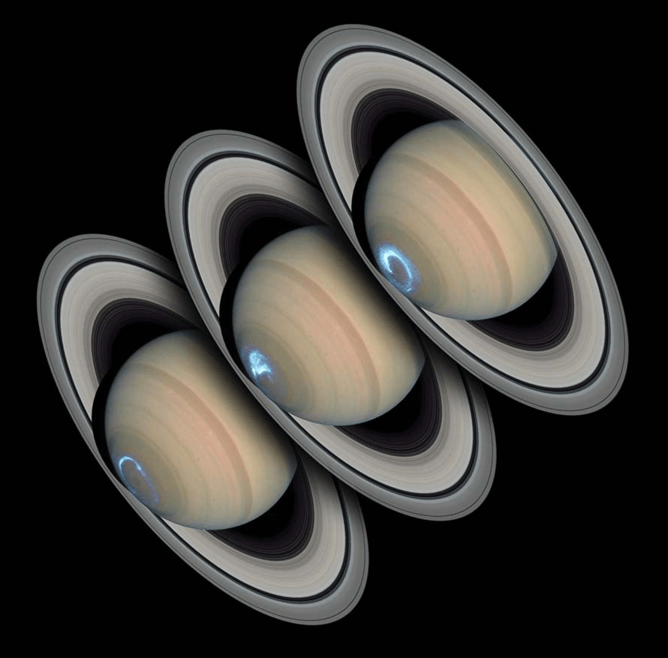 Hubble Space Telescope captures Saturn’s aurora. 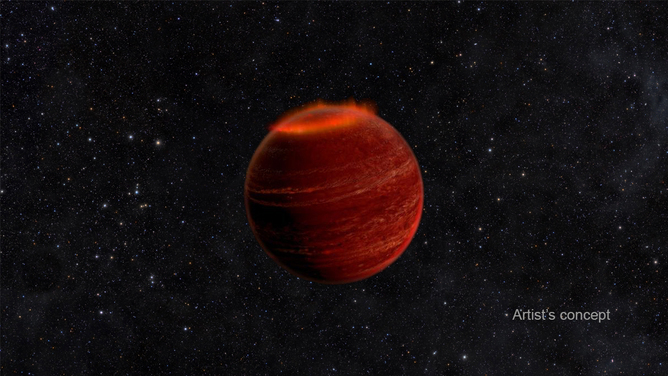 Brown dwarf with red aurora. Most planets outside our solar system are too dim compared to their parent star for us to see if they have auroras. But scientists recently discovery a brown dwarf (an object bigger than a planet but not big enough to burn like a star) 18 light years from Earth that is believed to have a bright red aurora. This raises the possibility of discovering other exoplanets with atmospheres and magnetic fields that have their own auroras. This entry was posted in In the News, Outreach on November 9, 2015 by NathanCase. Connor Gaffey from Newsweek.com today published an article about last night’s spectacular auroral display that was visible from across the UK. Connor spoke with Nathan about how best to see the aurora in the UK and why the display last night was so strong. Newsweek spoke to Nathan Case, a member of the Aurora Watch U.K. team at Lancaster University, who track geomagnetic activity around the British Isles and sends alerts to users when sightings of the Northern Lights are possible, to find out the best way to see the lights. This entry was posted in In the News, Outreach on October 8, 2015 by NathanCase. On August 25, 2015 Nathan received the NASA Heliophysics Peer Award. The award was presented to Nathan in recognition and appreciation of superior performance of a special act, service, or achievement. Nathan is a young PhD who has undertaken an unusual postdoc project and, through his innovation, has effectively opened up the analysis of citizen science aurora data for the space science community. He has submitted three first author papers in the past year (including a published GRL) and is working on a fourth. He has also been a co-author on numerous papers and presentations. He has worked with programmers, technical writers, educators, and human-computer interactions researchers, and is universally appreciated among a very diverse team. For these reasons, Nathan Case is presented with this 2015 Heliophysics Peer Award. This entry was posted in Miscellaneous on October 6, 2015 by NathanCase. The article “Aurorasaurus: a Citizen Science Platform for Viewing and Reporting the Aurora” was recently accepted to the American Geophysical Union (AGU) journal Space Weather. The article, which was co-authored by Nathan, describes the Aurorasaurus citizen science project in detail, including its aims and scopes and data collection methods. A new, citizen science based, aurora observing and reporting platform has been developed with the primary aim of collecting auroral observations made by the general public to further improve the modeling of the aurora. In addition, the real-time ability of this platform facilitates the combination of citizen science observations with auroral oval models to improve auroral visibility nowcasting. Aurorasaurus provides easily understandable aurora information, basic gamification, and real-time location-based notification of verified aurora activity to engage citizen scientists. The Aurorasaurus project is one of only a handful of space weather citizen science projects and can provide useful results for the space weather and citizen science communities. Early results are promising with over 2,000 registered users submitting over 1,000 aurora observations and verifying over 1,700 aurora sightings posted on Twitter. This entry was posted in Publications on September 4, 2015 by NathanCase. Along with the Aurorasaurus project, Nathan’s recent study on mapping aurora with Twitter was featured in Twitter’s “Twitter data for research” blog. Twitter data can even indicate where an Aurora Borealis may be spotted helping scientists have more sightings. After an electromagnetic storm in 2011 brought a flurry of Tweets with spottings of the Northern Lights even far down in the south, NASA scientist Elizabeth MacDonald created Aurorasaurus as a way to document sightings and to verify Tweets. A team of researchers led by Nathan Case found that Twitter data not only is a great indicator for where Aurora Borealis will be published but helps identify key characteristics of the light show including color. This was an “organic” find by the data team at Twitter and is great to see the article and the project get press from Twitter. This entry was posted in In the News on August 2, 2015 by NathanCase. “An interesting result is that, during our case study, around 60 percent of the reported sightings occurred equatorward (southward in the northern hemisphere, and northward in the southern hemisphere) of where our current best estimate predicted,” Case told me in an email. This entry was posted in In the News on July 2, 2015 by NathanCase. As our users will know, we love Twitter here at Aurorasaurus. In addition to using the social media service ourselves (check out the Twitter list of Aurorasaurus Team Members here), we present aurora-related tweets for our users to verify them as aurora sightings (a process called crowdsourcing.) We then use these “verified tweets” in just the same way as the other observations reported via our website or apps, for example, by comparing their location with the modeled auroral ovals. This entry was posted in Outreach on May 23, 2015 by NathanCase.